← Skydive with the Red Devils for Charity! Some people just can’t get enough thrills. If you ever find yourself searching for that next perfect adrenaline high, but not knowing where to go next, try one of these awesome cities. They have something for everyone, from climbing to biking and surfing to skiing. There’s a sport for every season if you know where to look. If you’re not from the area, Charlotte may seem like just another quiet little town down south, but it’s actually becoming one of the best places to live in the United States, with the fastest-growing population of any city as of the 2010 census. Extreme sports fans congregate in Charlotte to enjoy climbing and whitewater rafting at the U.S. National Whitewater Center. Within about two hours of driving, you can also find incredible mountain biking trails in Brevard, NC. Being so close to the Rocky Mountains has its perks. Climbers will find opportunities of every type from alpine to bouldering, single-pitch to multi-pitch. Train up to climb some of the tallest mountains in the states that also happen to be within a couple hours of driving. The mountains also offer spots for hiking, biking, and trail running, not to mention skiing and snowboarding in the winter. You can even go skydiving in Longmont at the Mile-hi Skydiving Center, only 45 minutes from Denver. Thrill seekers come to Vegas primarily for gambling, but outside the city there are plenty of other thrills to be found. The desert has climbing opportunities at the Grand Canyon, Zion National Park, and Bryce Canyon National Park. 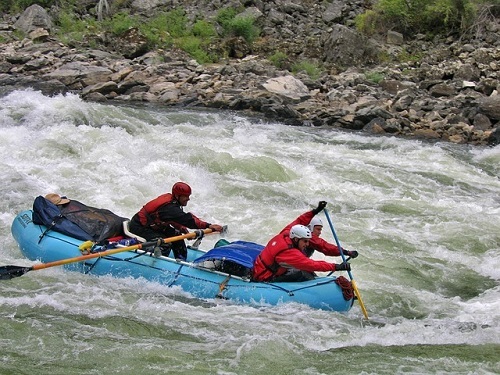 You can also whitewater raft or kayak the Colorado River in the Grand Canyon. The weather is hot and the water is cold year-round, but try to book a rafting trip in spring for the ideal temperature and to avoid summer congestion. With a beautiful year-round climate, Paia, on the north shore of the island of Maui, is a little-known sweet spot for surfers and other ocean explorers. The waves are perfect for wave-jumping and kite surfing. In winter, the swells get big enough for the pros. Be careful not to wipe out! About two hours away in Hana, HI, you can try powered hang gliding with an instructor. Beware, the drive between the two cities is beautiful but intimidating, with plenty of cliffs, switchbacks, and one-lane bridges. Austin is home to every kind of extreme sport, from climbing at the Barton Creek Greenbelt to off-roading and dirt biking at Austin Del Valle Motocross Park. For those who want to get acquainted with riding dirt bikes, this motocross park rents them out and has a course specifically for amateur riders. Austin Lake also has opportunities to try the extreme sport of fly boarding, which basically gives you water-powered rocket boots. Get creative and try other out of the ordinary activities like acrobatics or roller derby; Austin has it all. Why not take a tour across America to try out these extreme sports hotspots? With so many beautiful spots to see and so many exhilarating sports to try, you’ll definitely be thrilled when you visit. This entry was posted in Air Sports, Colorado, Hang Gliding, Hawaii, Land Sports, Motocross, Mountain Biking, Nevada, North Carolina, Surfing, Texas, Travel, United States, Water Sports, White Water and tagged Colorado, Extreme Sports, Hawaii, Nevada, North Carolina, Texas, United States. Bookmark the permalink.